Volks Affair are an independent automotive mechanical repair and service centre in South Melbourne. 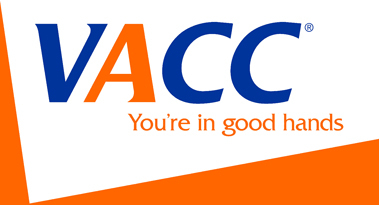 We specialise in Volkswagen, Mercedes-Benz, BMW, Skoda and Audi car repairs, as well as car air-conditioning services. For over twenty years, we have been servicing the Audis of Melbourne with expertise and dedication, making us one of the leading Audi service centres in Melbourne. We are one of the few independent service centres in South Melbourne to have dedicated Audi mechanics. We specialise in all Audis, from the A series to the TT RS. 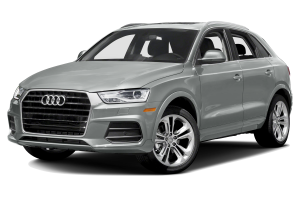 Our mechanics are especially adept at Audi SUV servicing and repair. More and more Australians are buying SUVs from prestige German car brands. Audi is one such brand. Known for their superior technology, drive and style, Audi SUVs are some of the most popular in Australia. 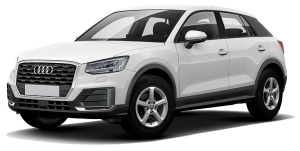 The Audi Q2 is a powerful 4-cylinder with progressive features. The Q2 has a wealth of safety features, including Autonomous Emergency Braking (AEB) and sensors (including lane and parking assist). Its Quattro technologies improve handling and grip on slippery corners, resulting in an underside unlike any other brand’s. Audi’s Q3 was the most popular prestige SUV in Australia in 2017. The Q3 is an SUV with a coupe-inspired design, for both city and off-road drives. It blends offroad, turbo-charged grunt with smooth, urban zippiness. Because of its versatility, the Q3 needs to be serviced with care and expertise. City-dwellers might not get the most out of the Q3, but that does not mean they cannot get the most out of their Q3 service. At Volks Affair, we get to know our clients, their cars, and their driving profiles. This way, we can provide expert, tailored services, focusing on wear and tear, and general upkeep. If you have Carsales’ Best SUV of 2017, it would make sense to give it the best service. This is a highly adaptable model, with variable driving preferences. 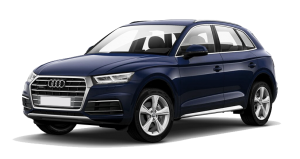 Available as diesel or petrol, the Q5 has outstanding Quattro technology. For superior grip and control, rear-axle drive is utilised or disengaged as needed. Superior technology requires a superior service, so book your Q5 in with an independent Audi service centre, like Volks Affair, today. 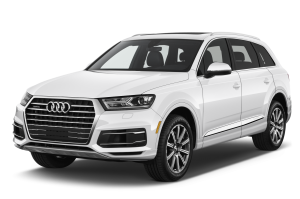 The Q7 is known for its fuel efficiency and agility. This larger SUV sits up to seven people, with the third row of seats collapsible for extra space. The Q7 boasts a wide range of unique cabin, infotainment and safety technologies best serviced by Audi specialists. The RS Q3 is an SUV crossover, combining power with prestige. Its 2.5L, 5-cylinder TFSI engine lets to RS accelerate from 0 to 100 km/h in 5.5 seconds. This is a powerful car. 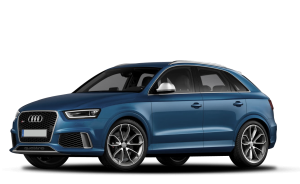 Quattro technology gives the RS Q3 improved grip, performance and fuel consumption. The RS Q3 can handle subpar conditions, like rain and water, but not a subpar service. Keep it at its best by scheduling your annual Audi service with Volks Affair. Why Choose an Independent Audi Service Centre? Audi is a special, prestige brand. It requires a dedicated Audi mechanic to keep your SUV performing at its best. Dedicated Audi service centres, such as Volks Affair, have the tools, techniques and training to tune your Audi as it needs to be tuned. Our services are more affordable than a dealership, but with the same dedication to, and training in, the Audi fleet. Our Audi mechanics are South Melbourne’s experts in all things Audi, including its innovative infotainment and safety technologies. We complement our expertise with fair transparent quotes, making us the preferred Audi specialists in Melbourne. Volks Affair use only genuine Audi, or manufacturer-approved, spare parts in all our Audi repairs. Additionally, we use the highest quality oils and fluids to make sure your Audi performs at its very best. Read more about our Audi services and repairs, or book your car in with us today.